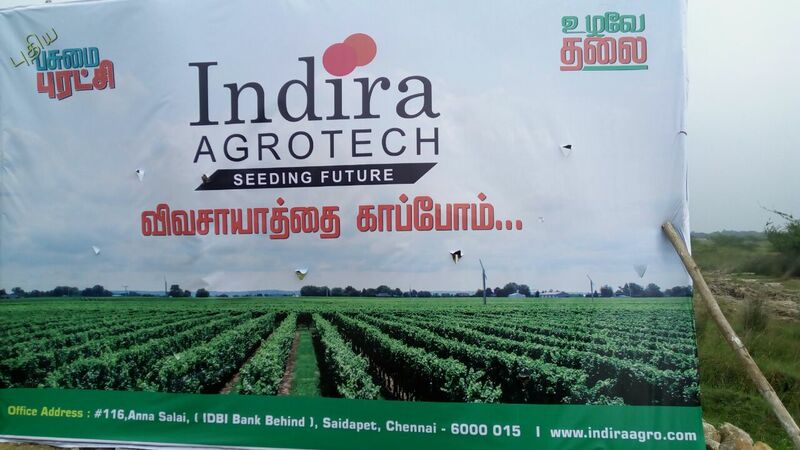 Indira agrotech has launched its new project near Dindivanam. They plan to cultivate organic rice in a land located in a village near Dindivanam. For this venture, they are inviting people to take up ownership of small pieces of land and lease it back to the company in exchange for a part of the produce every year. 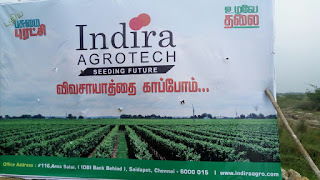 We went to a meet organized by Indira Agrotech at the site recently. They have installed solar panels to generate electircity with the help of sunlight. 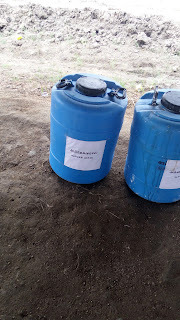 They plan to use natural manure and insect repellents. We saw a ploughing machine which will probably help to sow and cultivate grains. It seems they have also employed a few people from the village. 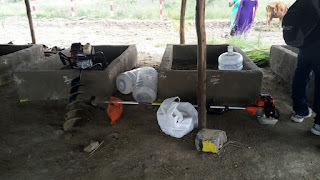 We saw a big well there with plenty of water which should be sufficient for cultivating land. 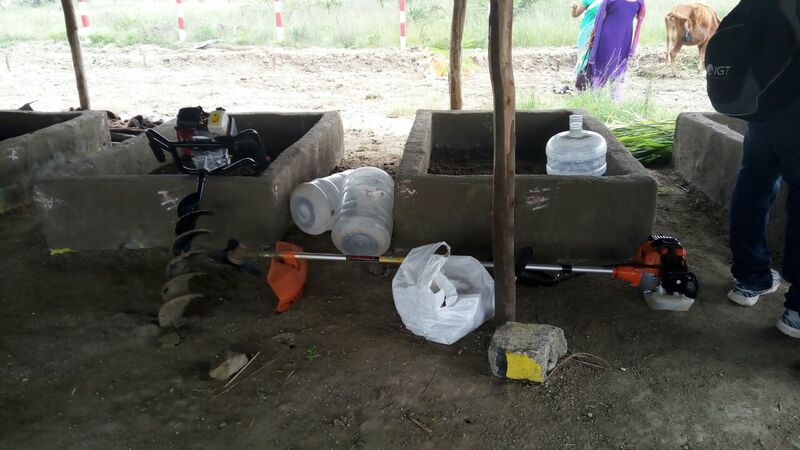 And apart from the land they have also laid pathways and facilities to do vermi compost. We can buy a land and build a house. Many people in cities do only that. In fact, the parent company of Indira Agrotech is also into building houses. But there are many people in cities who want to do farming but don't have the time or land for the same. This scheme might be useful to them as it makes them land owners and grow organic rice without the hassles involved in managing the labour. The company is also planning to plant nearly 6000 trees like Vilvam, etc. all around the fields which will help to protect the crops from pesticides. Since they are planning to grow organic grains without pesticides these should be useful. In fact, many of us who went there planted a sapling. We felt good being at the farm, amidst nature. It was a great feeling. Do have a look at the scheme details from here to learn more about this project. Disclaimer: We are not associated with the project, hence we suggest that readers do their research and get all their questions clarified from the company before deciding to buy.